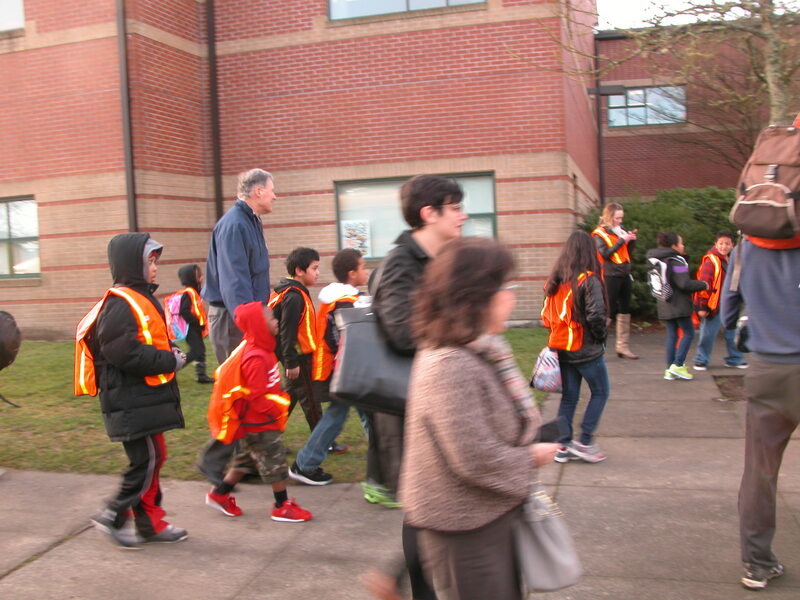 Governor Jay Inslee joined the West Seattle Elementary Walking School Bus, which is part of a study being conducted by researchers at Seattle Children’s Hospital. The city of Seattle is nearly finished with plans for the Olympic Hills Neighborhood Greenway. This will be the northernmost greenway and the city’s first greenway where the majority of blocks do not have sidewalks. A decision handed down by the U.S. Supreme Court could challenge the Rails-to-Trails movement. The court ruled in favor of a Wyoming landowner who says the trail cannot be used for bikers or walkers (only trains). A driver, evading a drunk-driving checkpoint, drove through a temporary barricade onto a street that had been blocked off for the South by Southwest festival in Austin, Texas. Two people were killed and twenty-three others were injured, five of them critically. Experts say steel barriers such as bollards should have been used to protect pedestrians. Playful ways to use potholes in New York City, Los Angeles, Toronto, and Montreal. London is the first city to pilot Pedestrian Split Cycle Offset Optimisation Technique, or ‘pedestrian SCOOT’, which uses video camera technology to automatically detect how many pedestrians are waiting at crossings. Children living near the site of the Fukushima Daiichi nuclear disaster are spending significantly less time outside. The Fukushima prefecture’s Board of Education found that local children weigh more than the national average in virtually every age group. 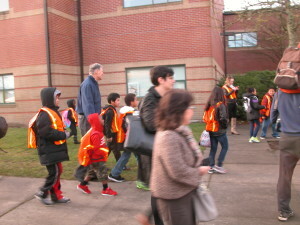 Educators feel that children are unmotivated and lethargic.